The St. Gabriel Food Pantry is located on the parish campus and provides food to families in need in the communities of: Concord Township, Mentor, Painesville, and Painesville Township. The efforts of our many volunteers and donors assure that food is provided with sensitivity to our brothers and sisters in Christ. We are here to serve with love and compassion and no one with a need is refused help. While all of us are susceptible to hard times, we are here to support one another and follow in the footsteps of Jesus. 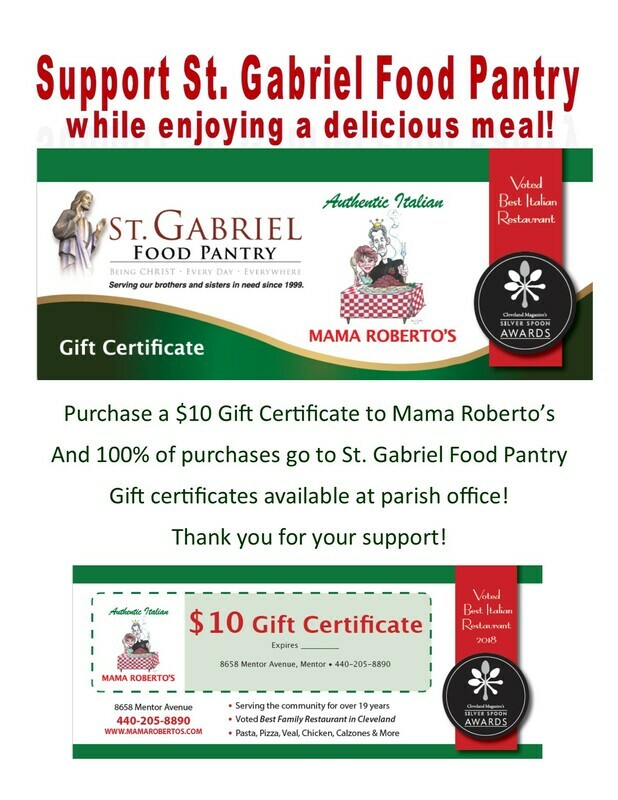 Please help the Food Pantry with a purchase of a Mama Roberto's Gift Card!